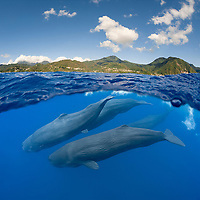 Doug Perrine is widely regarded as one of the world's foremost marine wildlife photographers. His photographs have been reproduced in virtually every major nature magazine in the world, as well as in thousands of books, calendars, greeting cards, posters, etc., including more than 100 covers. His photography has won a number of awards, including the prestigious BBC Wildlife Photographer of the Year competition as the overall winner (2004), and also winner of the animal behavior category and the Nature's Best/Cemex competition in the Professional Marine Wildlife category. He is also the author of seven books on marine life and numerous magazine articles. Doug founded SeaPics.com as a venue for his own photography, and later expanded it to represent a growing number of other photographers as well. Originally from Dallas, Texas, Doug was educated at the University of Hawaii and the University of Miami, earning bachelor's and master's degrees in marine biology. He has lived in Morocco and Micronesia (as a Peace Corps volunteer) and the Cayman Islands (as a dive guide/instructor). Since finishing graduate school in 1986, he has been self-employed as a naturalist/photojournalist. He is the author of the books Sharks (1995), Mysteries of the Sea (1997), Sharks and Rays of the World (1999), Ripley's Whales & Dolphins (2000), Ripley's Coral Colony Creatures (2000), The Living Sea (2002), and Sea Turtles of the World (2003). 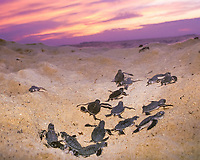 He is the primary photographer for Sea Turtles (1996) and Manatees and Dugongs of the World (1999). His books are available at Amazon.com. Doug takes on occasional photographic and writing assignments as well as creating photography for stock. He also works occasionally as a consultant for filming projects, including jobs for National Geographic Television, the Discovery Channel, and other broadcasters. 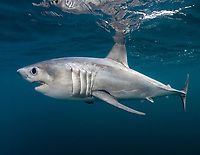 His work as a shark photographer was featured in "Sharks of the Deep Blue" on Discovery Channel's 1999 "Shark Week" broadcast. After founding SeaPics.com (under its first name, Innerspace Visions) in 1986, Doug built it into the world’s premier photo agency for ocean-related pictures, before selling the agency to its manager, Susan Dabritz, in 2003. Doug has now returned to his roots as a free-lance photojournalist, but continues to be associated with SeaPics.com as one of its primary contributors, and provides occasional assistance in other areas.